With the holidays just around the corner, it’s hard not to get excited about the prospect of new fishing equipment, whether it be getting something for a fishing friend or picking up an item to treat yourself. Either way, next to lures, fishing reels rank as the hot commodity for gifts this time of year for anglers. Finding the right reel, though, can be as tough as catching bass when a cold front sets in, especially when on the hunt for a quality reel at an affordable price. 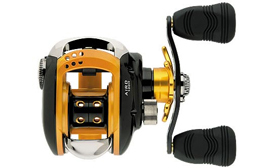 To help narrow down your search, here are the top fishing reels under $200. 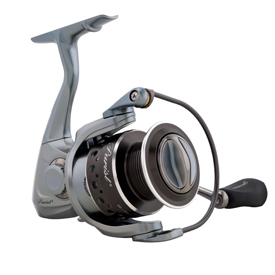 The Pflueger Purist features 10 stainless steel ball bearings (9+1) in a lightweight body. Thanks to its Hybrid Body System, it is strong without losing any of its smoothness, incorporating aluminum in its design for greater strength. Comes equipped with a Sure-Click Bail, which provides an audible signal when the bail is open and ready to cast. A lightweight reel with outstanding performance, the Quantum Smoke PT Spinning Reel features an LMS Line Management System that allows for better line lay, smoother winding, and longer casts. It’s designed to allow line to be captured by the spool more smoothly upon retrieve. 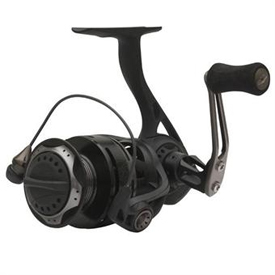 The reel also comes with the exclusive EXO CSC Drag System, a series of carbon, stainless steel, and ceramic discs that provide an ultra-smooth drag. The frame’s high-strength, lightweight aluminum won’t flex, even during heavy cranking. 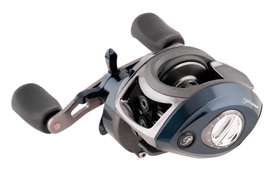 New to 2012, Shimano has upgraded its Sahara front-drag spinning reels, delivering enhanced top-drawer performance at a modest price point. Now with Varispeed II oscillation that increase casting performance, the new Sahara FE series line-up includes the SH-1000FE, 2500FE, 3000FE and 4000FE. The new Sahara FE reels have a smaller profile from Shimano’s ‘M Compact Body’ design concept. Each reel has small curving details to increase rigidity and reinforce the entire XT-7 material body and keep all the internal moving parts in alignment. While all the reels are smaller, line capacity remains the same on their cold-forged aluminum spools. Comes with a smooth, four-bearing system that’s more than a match for that larger-than-life trophy you may encounter. Here’s a reel you can feel confident with for tournaments, at a value-conscious price. 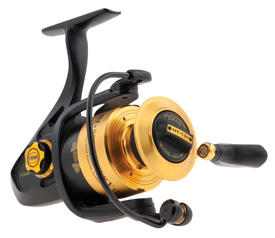 The Daiwa Lexa Spinning Reel includes a long list of sought-after features for the freshwater angler. A hollow Air Bail is super strong yet light in weight, with no protrusions to snag line. An Air Rotor weighs up to 15% less than ordinary rotor designs. The Lexa Spinning Reel also features aluminum construction, a felt-sealed body, and digital gear design. An Advanced Locomotive Levelwind promotes precise, even line winding that prevents tangles. The Lexa gets its smooth performance and feel from a 5-bearing system. 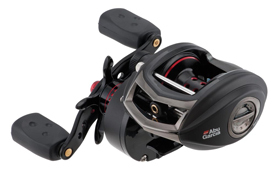 The new Abu Garcia Revo SX is even lighter than previous models, taking lightweight deisgn to the next level by reducing weight by 25 per cent, now sitting at an unreal 6.66 ounces. Comes equipped with a more powerful D2 Gear System, the next generation of Duragear, which provides enhanced efficiency and precision when the water. The upgraded X2- Cräftic alloy frame provides more advanced corrosion protection while the handle sideplate is constructed from weight reducing C6 carbon. A wider Infini II spool design improves casting performance and the legendary Carbon Matrix ensures smooth, consistent drag pressure when hooked into the hardest fighting fish. Here’s a great reel if you’re looking to find something under $100. 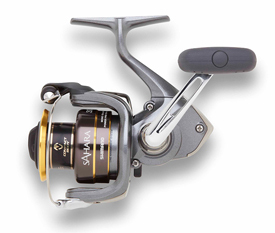 The Daiwa Aird is lightweight, features a smooth nine bearing ball system (eight ball bearing + one roller bearing), and MagForce cast control. Ideal for mono or braided lines. Comes in a variety of gear ratios, including a high speed 7.1 to 1 retrieve, an all-around 6.3 to 1, or a super powerful 4.9 to 1 retrieve. Lefthand retrieve model available at 6.3 to 1. 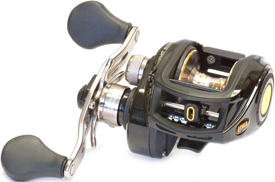 The original Lew’s Speed Spool model BB1 introduced anglers to several baitcast reel firsts, including the low-profile design, narrow spool, fully disengaging levelwind, and no-knob palming side cover. It became famous for its rugged durability, casting distance and comfort. 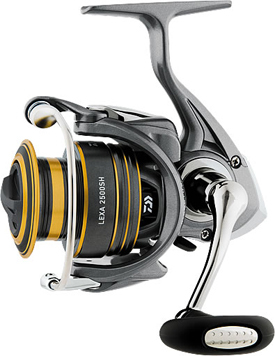 Now, over popular demand, Lew’s has revived the BB1 reels and upgraded their performance with the use of modern technology and materials. For a more affordable, quality baitcast reel, look to the Pflueger Echelon. Weighing in at just 7.5 ounces, the Echelon has five double-shielded stainless steel ball bearings that not only provide smoothness, but excellent corrosion resistance and durability. Its magnetic cast control helps eliminate backlash, which is easily adjustable with an external dial. Dual soft touch knobs provide winning comfort, and a beefy multi-disc main gear applied drag system delivers absolute lock down capabilities. The Shimano Curado has been a favorite among anglers for years, and the new G series more than lives up to its predecessors. It sports an aluminum frame, lightweight graphite sideplates, and five ball bearings (four shielded stainless steel, and one roller clutch bearing). Features the disengaging LevelWind system and Quickfire II clutch bar for superior performance. 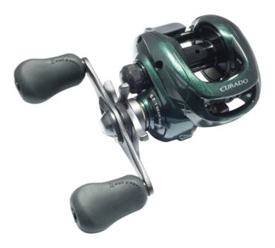 Durable, smooth, and reliable, the Curado G series is one reel you shouldn’t overlook.